The Russian government recently ordered ten major VPN providers to block websites that are banned in Russia. If the providers refuse to do this, their own website will end up on the blacklist as well. Russia has been restricting its citizens’ access to information online for a long time already. The government scours the internet looking for websites that they find inappropriate. They then include these websites on the national blacklist, called FGIS. The government mostly targets pirate websites and content that they deem extremist. Though you might be surprised by some websites that are on the list. Well known websites that are on this blacklist include video-sharing platform Dailymotion, live-streaming platform Twitch, and discussion website Reddit. The government also blacklisted some select Wikipedia articles, as well as a number of Bitcoin-related websites and an image of Putin as a ‘gay clown’. People used this image to oppose Russia’s gay propaganda law. The government added it to Russia’s Federal List of Extremist Material. The government already ordered Russian ISPs to block these banned websites. However, there were still plenty of ways to circumvent the blocking. That’s why the government is now targeting VPNs and other anonymizing services. 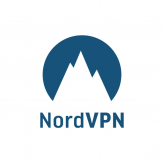 The ten VPNs that got the notice are ExpressVPN, NordVPN, IPVanish, HideMyAss!, TorGuard, VPN Unlimited, Kaspersky Secure Connection, OpenVPN, Hola VPN and VyprVPN. The notice states that “In accordance with paragraph 5 of Article 15.8 of the Federal Law No. 149-FZ of 27.07.2006 ‘On Information, Information Technology and on Protection of Information’ hereby we are informing you about the necessity to get connected to the Federal state informational system of the blocked information sources and networks [FGIS] within thirty working days from the receipt [of this notice],” The government also demanded the VPNs to hand over information about their company, including full names, address details and tax numbers. The VPNs have under a month to comply with these demands. Some VPNs have pulled their services out of Russia after getting the notice, because they do not want to operate under the government’s terms. Other’s have not made public statements yet. TorGuard is one of the providers that pulled their services out of Russia. In fact, the company lets us know that “at the time of this writing TorGuard has taken steps to remove all physical server presence in Russia. We have wiped clean all servers in our Saint Petersburg and Moscow locations and will no longer be doing business with data centers in the region.” TorGuard also made clear that the Russian government did not require them to hand over information about customers. “We do not store any logs so even if servers were compromised it would be impossible for customer’s data to be exposed,” they added. Make sure to check out our blog for all the latest privacy news!